Indoor Oceans works with suppliers as far away as Hawaii and Fiji to bring you exotic fish, corals and invertebrates so you can experience the sea in your own home. 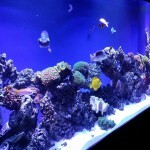 We can also provide healthy tropical fish, plants, snails and more for your freshwater tank needs. 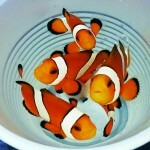 We are also well versed in aquatic husbandry and know what species of fish can live in harmony in your aquarium. As much as possible, Indoor Oceans obtains livestock from sustainable sources rather than removing the animals from the ocean. 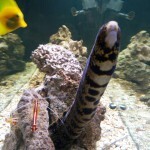 We work with several suppliers who are successful at raising various species in tanks. We are fish enthusiasts, hobbyists, and we want to do whatever is in the best interest of the animals. Happy, healthy animals will live longer in your custom aquarium and that’s why we are committed to ensuring the animals are free of disease and are eating before we introduce them to your new or established aquarium. 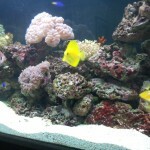 Various saltwater reef fish species happily swimming around in a custom tank by Indoor Oceans. 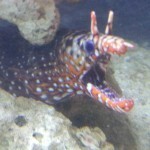 Beautiful dragon moray eel in Indoor Oceans custom aquarium. 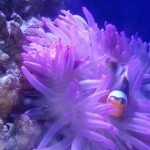 Clownfish and anemone pairing in an Indoor Oceans custom tank. 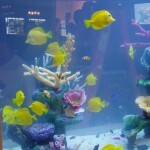 Yellow tang and various live corals in custom tank by Indoor Oceans.